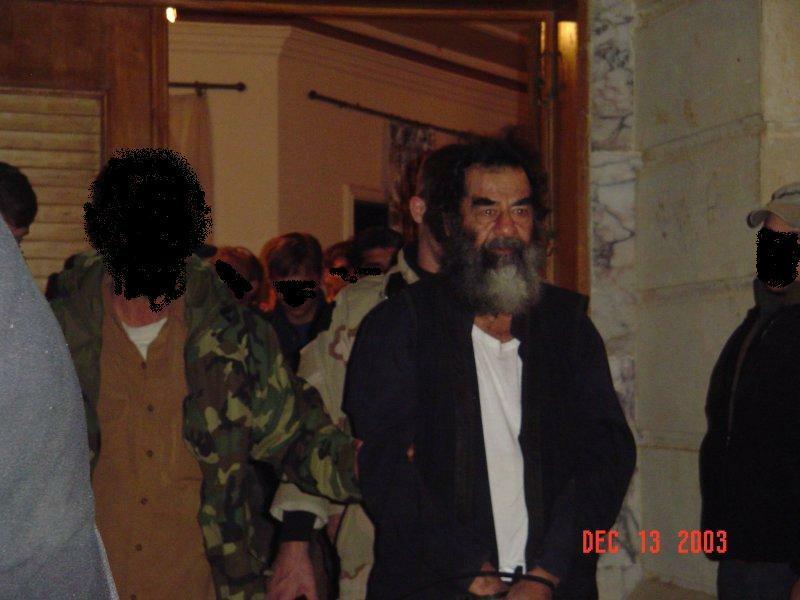 The capture of Saddam Hussein. 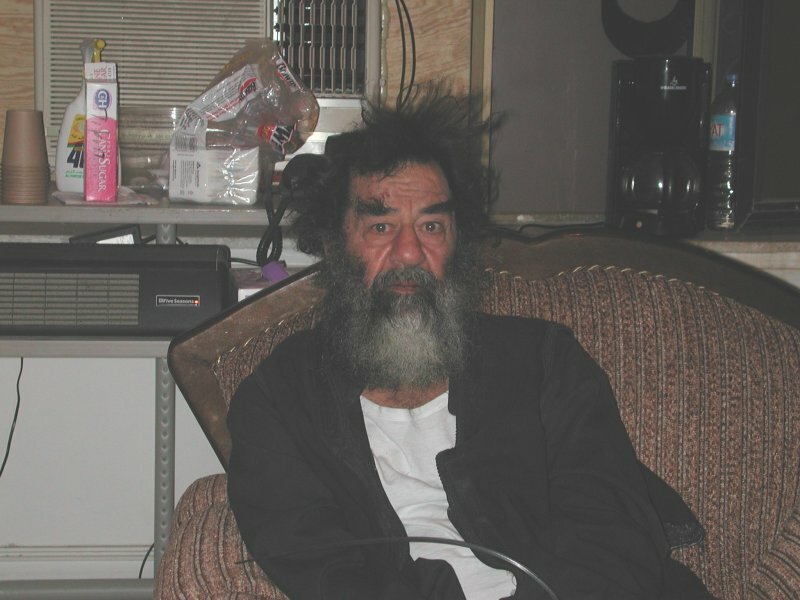 Saddam looking frazzled. It’s a pretty humorous photo. He certainly doesn’t look like the guy who would later appear in court attempting to bully the judges, prosecutors and the judiciary process as a whole. He no longer looks like the man who stood on a balcony of one of his many palaces and told the Iraqi Army that the “mother of all battles” is upon us and that victory is assured them by Allah. 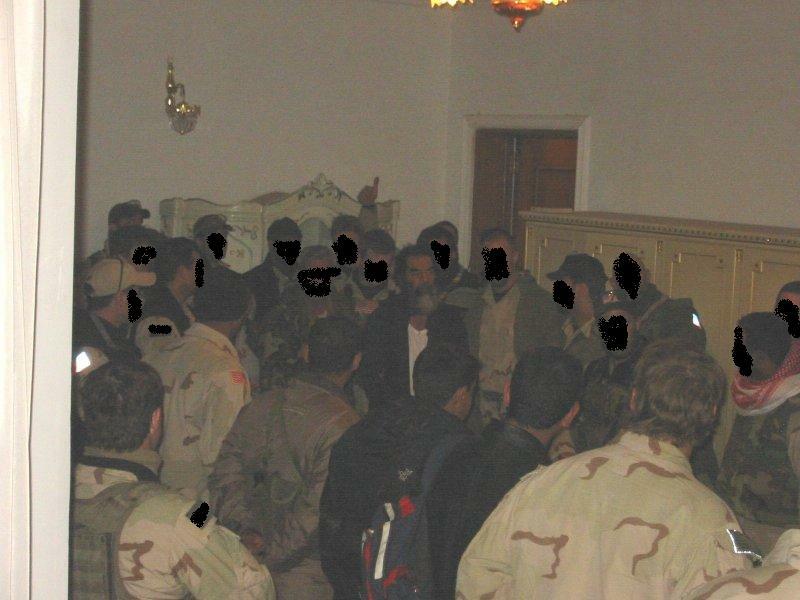 These are some photos from the capture of Saddam Hussein. A friend gave me these a couple of years back. He knew some of the guys on the Task Force that caught Saddam. 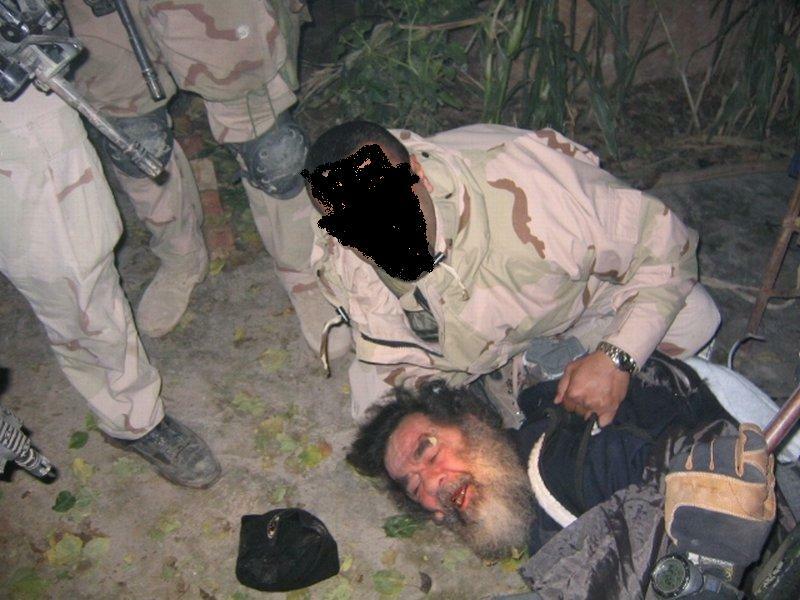 Below are photos of Saddam just after he was pulled from the spider hole in which he was found. 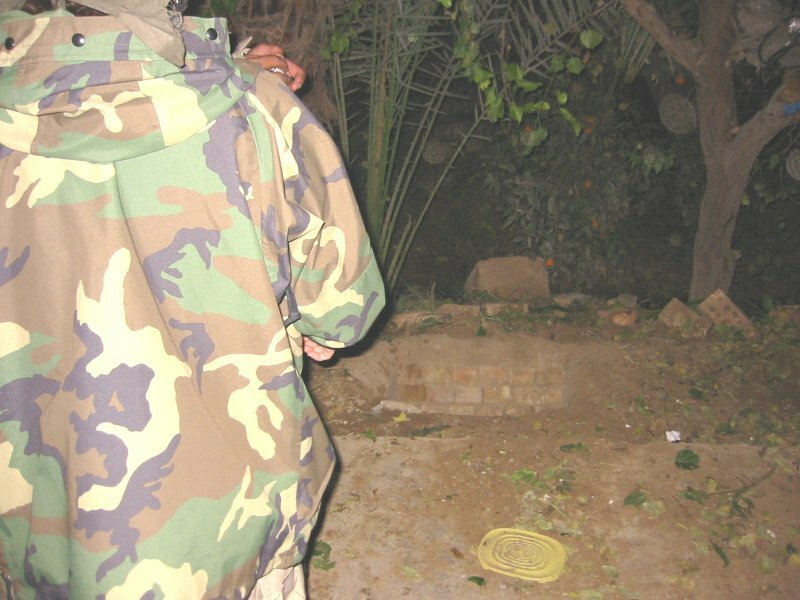 There is also a photo of the entrance to his hiding place and some of the money that he had stashed with him. I blacked out the faces. I figured there may still be some folks running around out there who would rather not be easily identified. 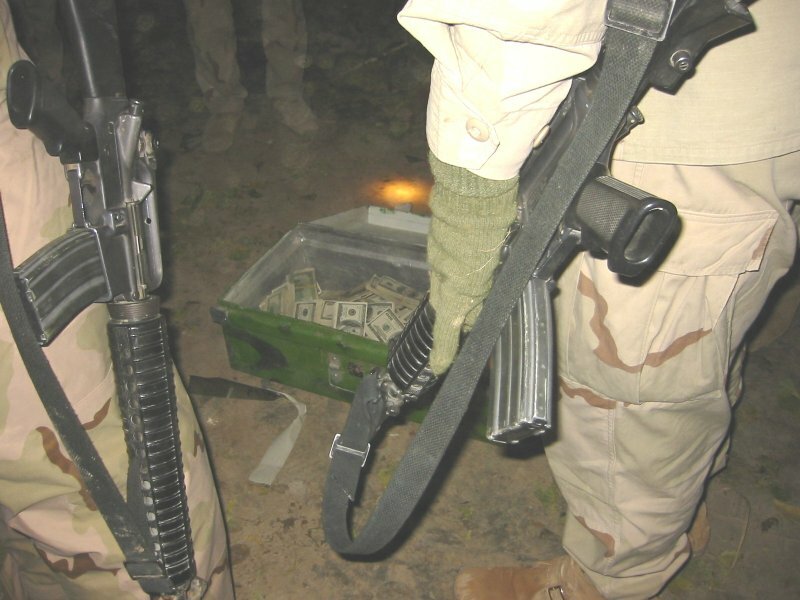 -Auchi protected secret money for Saddam Hussein AND Muammar al-Gaddafi. -Auchi also financially backed Saddam Hussein’s plan for a pipeline from Iraq to Saudi Arabia. -Rezko was also a business partner with Nation of Islam Founder’s son: Jabir Herbert Muhammad. Why isn’t the media talking about all of Barack Obama’s scary friends who have ties to the worst people in history? *Don’t forget William (Bill) Ayers and Bernadine Dorhn of the Weather Underground. *Obama’s cousin Raila Odinga who just became co-President of Kenya this week (after nearly 1,000 Christians were set on fire in churches and machete in the streets) whom Obama is said to be close to: http://news.bbc.co.uk/2/hi/africa/7176683.stm –calling Odinga a few times a day and even during the New Hampshire primary is a major problem. -Odinga signed a secret pact with Muslim jihadists who were to ethnically cleanse Christians in order to enforce Sharia law (Muslim law: ban booze, ban pork, Muslim dress for women, Islamic courts, etc). Portions of NAMLEF agreement is right on the internet. There is also an under the table pact that is worse. *Obama’s cousin Raila Odinga was educated in communist E. Germany, and his father, Oginga Odinga led the communist opposition during the Cold War.